Trapped on Skaro, all hope lost – is this truly the Doctor’s final day? Well, given we’ve got ten more episodes after this one plus a Christmas special, everyone knows that of course the Doctor isn’t going to end up dying for the final time in this story – but what’s more interesting is why he thinks that he’s going to. There have been too many times when the second half of a 21st Century Doctor Who story hasn’t lived up to the promise of its opener, but this one certainly does. At its heart are terrific performances by Peter Capaldi and Julian Bleach, counterpointed with some strong moments for Jenna Coleman and Michelle Gomez (come on, that’s not a spoiler – we’ve seen Clara in the series trailer!). You may well wonder at times whether Steven Moffat has completely lost his senses and why characters are behaving oddly but it all comes together in a very satisfying way, setting up some elements which are clearly going to play out across the season. There’s a lovely pre-credits sequence that gives Capaldi a chance to play (not quite as unrestrained as the axe scene in the first part that personally I loved as an entrance) and the drama and comedy blend together in a way that feels reminiscent of The Empty Child/The Doctor Dances. 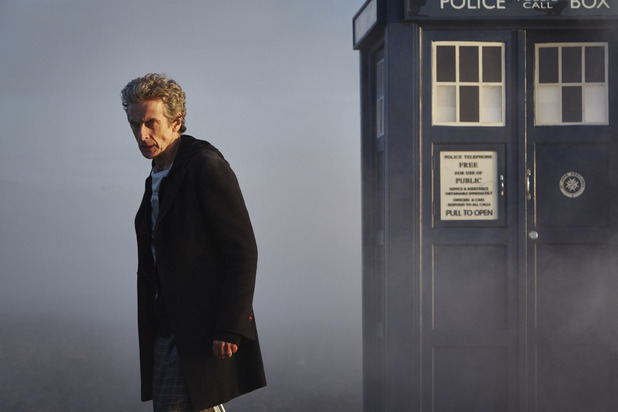 There are elements that Moffat has used before (the core of the whole two-parter in some ways derives from a very unusual source), and there are plenty of the “kisses to the past” that will infuriate and delight in equal measure – but overall, The Witch’s Familiar delivers.